Found in stockroom at work. Kinda resembles a black widow. I was hoping someone here could identify it. Ive been trying to Google it but no luck. 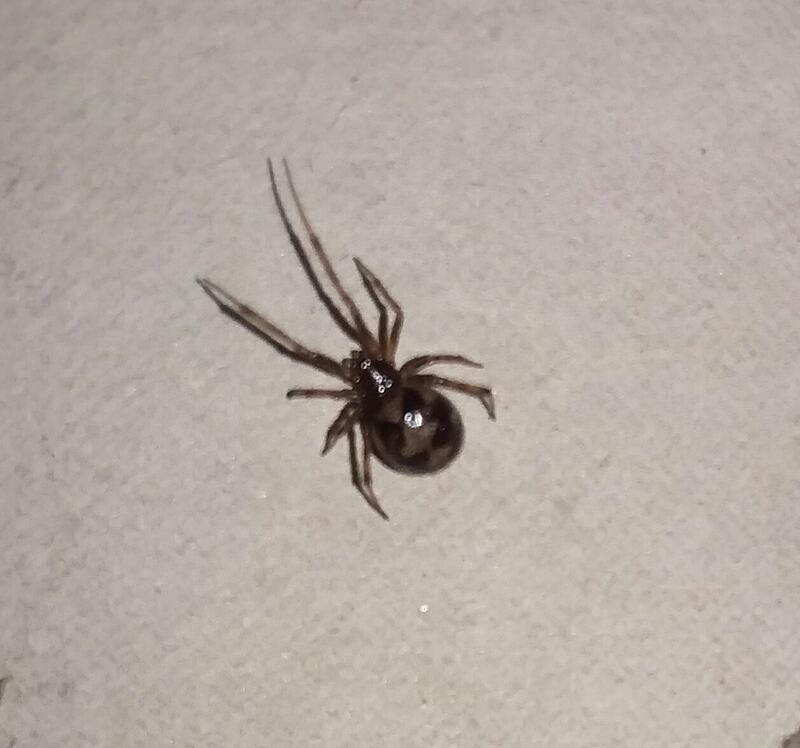 Hi, this is probably Steatoda triangulosa, a triangulate cobweaver. They are in the same family as black widows, but much less venomous. They don’t see well and prefer darkness and will hide from people.